However, LGBT legal experts say they don’t expect the decision from the 14th Court of Appeals, which covers the Houston area, to have much practical impact, since so few local judges typically grant gender-marker changes in the first place. 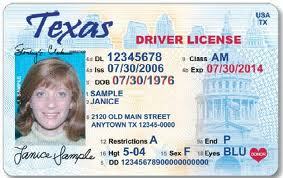 Katie Sprinkle, a Dallas attorney who handles identification and gender marker cases, said some Democratic judges in Bexar, Dallas and Travis counties allow trans people to correct gender markers on their driver’s licenses and birth certificates if they provide proper documentation, including letters from doctors and therapists. Sprinkle also said the 14th Court of Appeals’ decision may be “persuasive,” but is not “binding,” on other jurisdictions. Sprinkle said despite the appeals court’s decision, the petitioner still could reapply for a gender-marker change in another county — an option he told the Observer he now plans to pursue. According to the pro-LGBT Movement Advancement Project, Texas is one of 13 states with the most onerous requirements for gender-marker changes on driver’s licenses, and one of four states with unclear policies when it comes to birth certificates. This is one of those times when I find myself saying “what exactly is the problem here?” I don’t understand why a judge would have an issue with granting this request. There’s no excuse in 2016 for being ignorant of transgender people and their needs. Judges who can’t or won’t keep up with social change need to get off the bench. And speaking of judges, here’s another one to keep an eye on. U.S. District Judge Reed O’Connor has set a hearing for Friday on Texas Attorney General Ken Paxton’s bid to block the Obama administration’s recent guidance that said public schools should allow trans students to use restrooms according to their gender identity. Paxton’s office, on behalf of 13 states, has requested a nationwide preliminary injunction against the guidance outlined in a May “Dear Colleague” letter issued by the U.S. Education and Justice departments. The states allege the administration has overstepped its bounds by attempting to rewrite federal law to ban discrimination based on gender identity without congressional action. “Defendants have conspired to turn workplaces and educational settings across the country into laboratories for a massive social experiment, flouting the democratic process, and running roughshod over commonsense policies protecting children and basic privacy rights,” Paxton’s office wrote in its initial complaint. In response to Paxton’s complaint, the Obama administration has argued that the guidance isn’t legally binding, and questioned whether Texas has standing to challenge it, given that the case doesn’t involve a specific controversy over restroom access for trans students in the Lone Star State. That’s Friday as in today. This is the second time that a Texas judge could have a national effect in a high-profile case. I’m hoping for a better outcome than the first time. Is there a reason a driver’s license needs to list gender at all? Yes…needed for law enforcement. Which is why illegals need should be able to get a license. I’ve got to disagree with you on this one, Paul. Illegals don’t need a TX DL, they need a bus or plane ride back to wherever they came from…..one way. Catch and release doesn’t seem to be working. First they violate US law by overstaying a visa or worse, sneaking in illegally, then they want to continue violating the law by driving with no license and usually, no insurance? Sorry, I have to get off the train there. Why not pass laws exempting our illegal folks from prosecution for drunk driving, too, because we respect and value all cultures?